​There's definitely a love-hate relationship when it comes to rug fringes – people tend to either love them or hate them. The latter group's opinion is influenced by the fact that managing them, caring for them and then cleaning them is a hassle. 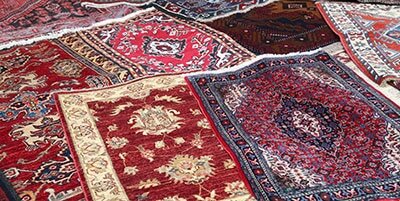 The worst is if the rug is old and has very long fringes, as is the case with many antique and Oriental rugs – one can only imagine how difficult it is for the owners to keep it clean without assistance. This is where we come to your rescue – whether the fringe is long or short, we can repair it completely and in the shortest amount of time possible. You might not believe it, but sometimes owners of even expensive rugs get so troubled by the fringes they resort to just cutting them off and ridding themselves of the trouble altogether. If thoughts of doing this entered your mind in the past, we urge you not to take such drastic actions but instead have us take care of your fringes no matter the state they might be in. Anyone with an expensive area rug full of fringes knows that they are the hardest part of the rug to clean and also the one that gets dirtiest the most – it's the part that gets tangled up with furniture, is stepped on the most, is often chewed on or urinated over by animals and the list certainly goes on. For this reason, repairing the fringes can be a nightmare for the average home owners – they are quick to sustain damage and conversely very difficult to restore. Not for us, however – we bring even the most badly damaged fringes back to life, either carefully reweaving them or installing new ones altogether based on the severity of their issues. Before any other question can be asked, the very first thing we will need to identify is whether the fringes have been hand or machine woven. Because these tassels can be made from cotton, silk or wool and in the form of braids, twists, knots or ties, we will need to know if they are hand or machine installed before attempting any repairs. If they are hand woven, as is the case with most fine area rugs, the tassels are connected to the 'skeleton' of the rug. This makes any repairs a complex matter as the fringes will need to be carefully woven and stitched using the original weaving method to preserve the rug's appearance. 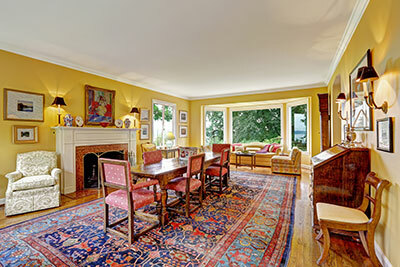 For these purposes, we have a team of expert weavers who are ready to work long hours to fix the fringes of your expensive area rug – using a combination of unparalleled work ethic and extensive knowledge of rug weaving methods, our professionals will restore the rug's fringes as if the original weaver back to them. It's time to stop hating one of the most exquisite parts of any area rug just because it has been giving you trouble – it's time to call us and let us rekindle the relationship between your precious rug and its beautiful fringes. To make sure that your beautiful area rug lasts a long time, it's essential to maintain its fringes. If you don't feel up to the task, you can always hire Oriental Rug Pros for professional cleaning and restoration of your rug's complex fringes – we can correct color fading and dye bleeding from the fringes as well as perform any necessary repairs. Securing of fringes on both ends. If fringes of your rug are badly damaged or discolored, we can also change them using perfect replicas – we will identify their type and then replace them in such a way that they do not stand out to anyone. When performing this replacement, we make sure that the new fringes are made from the same fabric as the old one, align them perfectly to the position of the previous ones and either use special machines or our skillful hands to join the new fringes with the rug. Only our most seasoned employees deal with this type of task to ensure that there is no possible damage done on our part. Getting your area rug's fringes replaced or repaired is one way to guarantee that your precious possession lasts for a long time. It's always advisable, however, to get such repairs done by a professional rather than undertake such a difficult endeavor yourself.